Famous for its park, Lumpini is an oasis in the centre of one the the busiest cities on the planet. If you're looking for the best car hire deals in Lumpini we've got them! Bangkok is one of the most famous of cities in the world, and ranks high with the likes of New York, London, Shanghai, and Hong Kong. Finding a decent car for hire in those cities can be challenging, but at Car Hire Bangkok Lumpini there is always a great selection to choose from. Coming soon – a new product offering Guaranteed Lowest Pricing car rental in Bangkok. Visit now and sign-up for a special limited 5% discount hire coupon. CarHirePhuket.com’s Lumpini pick-up point is located conveniently in the Lumpini area of the city, easily accessible by Skytrain, Taxi, and Subway. Once there, you will find our qualified staff ready to assist you in getting behind the wheel of a brand new car, and within moments you are off to whatever destination that you desire. CarHirePhuket.com has a great selection of rental vehicles to choose from — all geared towards city driving and with fully automatic transmissions, air conditioning, and some coming in very easy-to-park sizes. Start your search now to find the best rental deals from the top hire providers in Thailand. Bangkok is well known for just about everything under the sun, but did you know that the Lumpini area of Bangkok is beloved by all for the Lumpini Boxing Stadium? 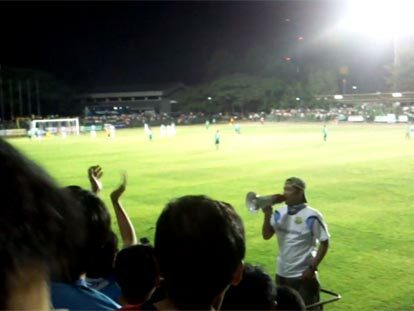 Thais are devoted to the sport, and turn up in droves whenever there is a match. 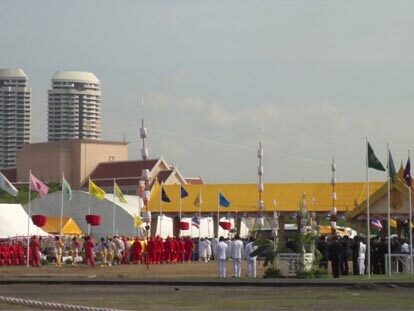 The Royal Thai Army runs the Lumpini Boxing Stadium, and fights are held every Tuesday, Friday, and Saturday starting from 6 PM. It is one of the few places in Thailand that gambling is permitted, and perhaps that’s one reason for the sport’s undying popularity. Another interesting fact about the area: Lumpini is actually the Thai translation for the birthplace of Buddha in Lumbini Nepal. Watch a football game at the modern and new Rajamangala National Stadium. With the opening of the Suvarnabhumi Airport Link, fans now have unfettered access to the newest sports arena in Bangkok, and it’s a great place to watch a match in the comfort of cool indoor seating. Get contemporary with a gallery walk through the newer Bangkok Art and Culture Centre (BACC) where you will find works from around the world as well as works from artists right at home, like the artwork of HRH Princess Maha Chakri Sirindhorn. The BACC sits directly sandwiched between two of the city’s largest shopping malls, so if the art gets tiresome, there is always a 12-plex movie theatre right across the street. And if you have a toothache or need a health exam, don’t be afraid to become one the tens of thousands of visitors per year that come to the Kingdom for medical checkups and procedures. Medical Tourism in Thailand has been on the rise, and has actually skyrocketed as healthcare systems around the world have become too pricey and the standard of care too low. Check out Bumrungrad International Hospital for any medical service with no waiting and great prices. 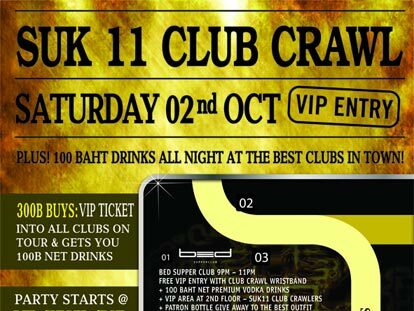 This is probably the best way to sample the varied clubs in the area, as you are given VIP status and discount drinks for the entire “crawl” to such famous clubs as Nest Rooftop, Q Bar, and Bed Supper Club. What started out as an annual affair has grown to a monthly event, and each crawl runs over 2 or 3 days! This ancient Brahman ritual was started when farmers began to believe that certain priests were able to forecast the abundance of the next rice crop. Nowadays, Phraya Raek Na, a high-ranking official from the Ministry of Agriculture and Cooperatives (who also wears the colorful and traditional costume on this occasion) conducts the ritual. The ceremony is considered the official start of the rice-growing season, which is ever so important, even for citizens that live in the large cities.